One needn't have looked to a sign from the heavens, or some industry insider's astrological prediction for a hint at Mavic's latest introduction. Nope, just to the good old interwebs. Spotted under the likes of Thor Hushovd two years ago, Mavic's Cosmic Carbone 40 wheelset has been in development for over three years—nearly a lifetime in today's high-paced race to bring the latest and greatest to market. Those three years saw multitudes of wheel manufacturers bringing carbon clincher designs to market, but not a single model from Mavic. "Until now, Mavic has not produced a carbon clincher because a clincher rim is subject to many stresses and no product until now could meet expectations—many wheels and rims were tested and found to be too heavy, too fragile, too expensive, or unable to manage brake heat. Under severe loads, many carbon clincher rims were found to be prone to failure due to brake heat buildup. So, to address the multiple demands placed on a carbon clincher, the CC40C is built with a mix of exotic construction methods and materials, most of which are exclusive to Mavic." To put it more basic terms, Mavic simply cannot be rushed. Never a company to push ahead R&D schedules to meet a market trend, Mavic instead does its homework, devoting an entire team of engineers and a hell of a lot of development times to its projects. But, there's something to be said for being fashionably late. 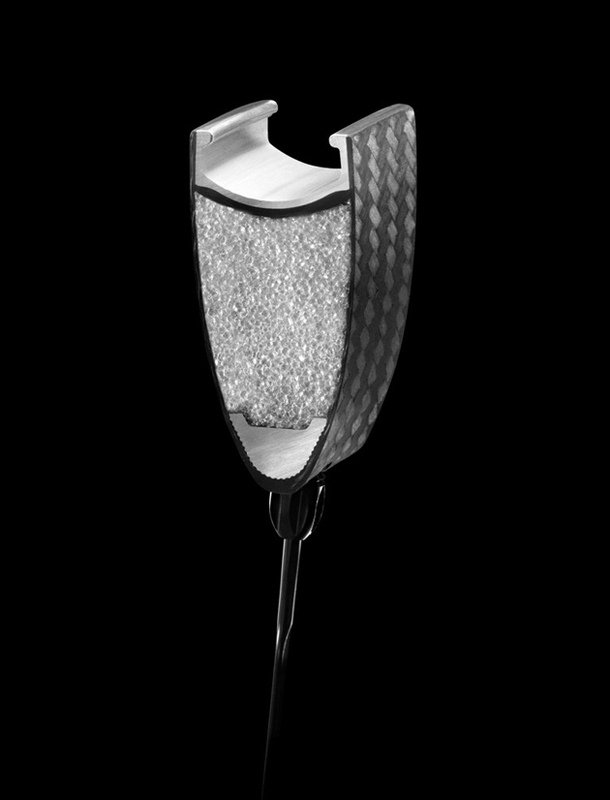 And, let's get this clear, the Mavic Cosmic Carbone 40C weelset is quite fashionable. It's also a technological marvel in the world of carbon clinchers. It's a not-so-well-hidden fact that rim failures are an all-too-common occurrence in the world of carbon clinchers—UPS is definitely making a killing off of warranty-return shipping. 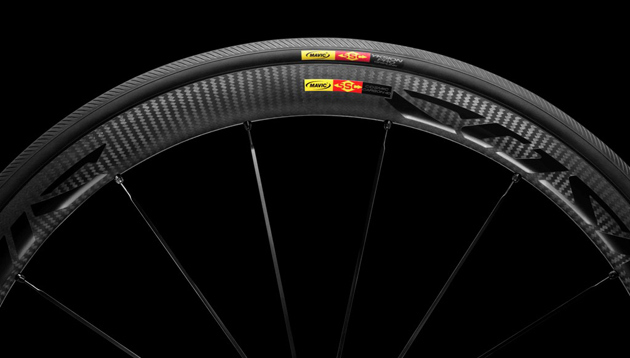 So it comes as no small claim then that Mavic is touting the CC40C as "the most reliable carbon clincher available." But, knowing Mavic's cut-no-corners approach, and considering the raft of new technologies they've packed into these new hoops, it's one that's at least quite plausible. Speaking of such technologies, the Mavic Cosmic Carbone 40 C bucks the trend of relegating aluminum to the recycling bin, instead calling upon it to help the rim’s carbon structure deal with the added pressure created by extreme braking conditions. Used for an insert that makes up the tire bed and bead hooks, aluminum features prominently in one of Mavic’s most R&D-heavy products. It’s not too much of a surprise though. Masters in the material, Mavic has several individually patented aluminum alloys to its name. The material is also used for the spoke bed, allowing Mavic to preserve the integrity of the carbon rim bed and also allow for easy service. 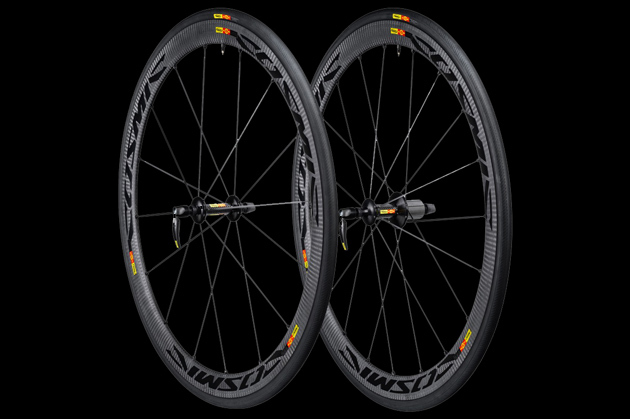 But, rather than let you go on thinking that all this alloy (since it seems to be a dirty word these days) has made for a piggish wheelset, it’s pertinent to note that Mavic’s workhorse of a carbon-clincher wheelset still comes in at a waifish 1545 grams per pair (670g front/875g rear). Plus, that figure won’t be going up as the aluminum tire bed completely eliminates the need for rim strips. While aluminum undoubtedly plays an important role in the wheelset, and Mavic is indeed well-versed in the material, the spotlight here is still on Mavic’s carbon development. Playing around with different resin compositions and surface treatments for over three years, Mavic certainly had plenty of time to create a braking surface good enough to send other manufacturers back to the drawing boards. And, no surprises there, they claimed to have done just that. Using two different types of resin and a specific heat-treatment process, Mavic claims to have cut braking distances in half from those of their competitors. Needless to say, we’re anxious to see how those claims stack up. Mavic has promised a chance to hop on a set of these cavalier carbon clinchers in April at the Sea Otter Classic, so look forward to hearing our first impressions then.